Yes, this is the week we go to Gen Con. 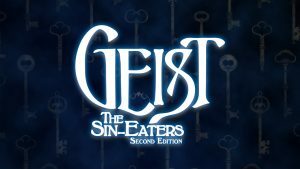 It is also the last day of the Geist: The Sin-Eaters 2nd Edition Kickstarter, so act now before time runs out for death. Uh, I have no idea where that line of thought took me. Anyway, back to Gen Con. Months of preparation to be sure we get the right people to the right events, demos, and booth time, with the right combination of books and stuff to amuse and entice folks into getting more involved with Onyx Path and our many fascinating worlds. It has, in fact, been a year since we launched our “Many Worlds, One Path” motto for Gen Con 2017, and it is still as evocative of what we’re all about. Maybe more so. We’ve certainly talked a lot about Gen Con over the years on this blog. It’s big; it exerts a crazy amount of gravitational pull on our hobby and business. But compared to previous years, I’ve actually pulled back on talking about it so much. Part of that is our continuing investigation of other conventions and a changing strategy for them overall, and part of it is that our team has become so experienced with Gen Con that we’re able to do the things we want to do there more easily. 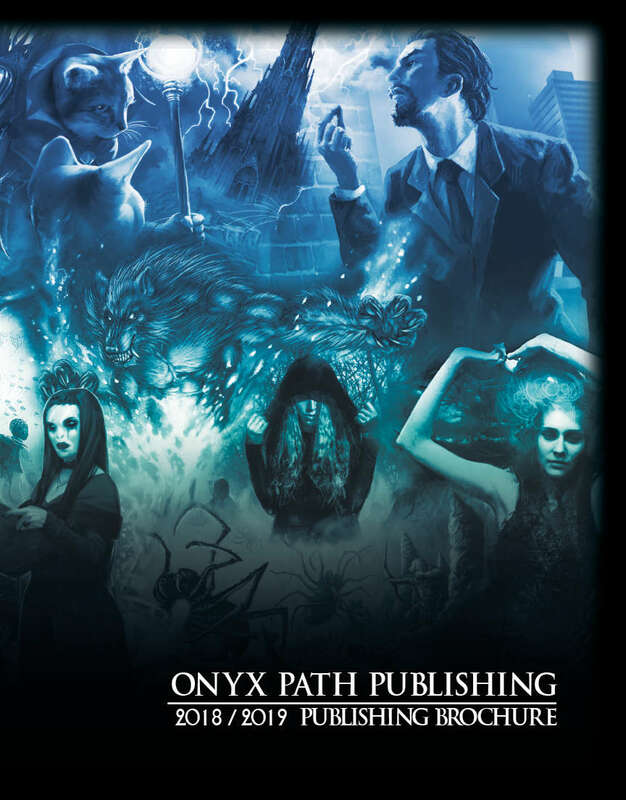 Traditionally, we unveil and hand out at Gen Con our yearly Onyx Path Brochure that contains announcements for upcoming books and projects. In recent years, we’ve also released a separate Storypath Brochure, to explain the system and the give details on the game lines powered by it. Yes, we’re doing that again this year, but we’re also releasing both brochures as PDFs on Wednesday on DTRPG. That way, our community, whether attending Gen Con or not, can all get in on the discussions that explode after folks get their hands on the brochures. Tied to that, we are doing TWO “What’s Up With Onyx Path?” panels, one on Thursday at 1pm and one on Saturday at 11am. Part of this is our feeling that we have enough game lines that it’ll take two sessions to get through all of them (! ), but we’re also aware that folks like to come to the sessions with questions about things they’ve read in the brochures, and the on-line discussions that happen after they are in their hands. If you can’t get to Gen Con but want us to consider a question or two, go ahead and post it here in the Comments section – please label it as being for the Gen Con panels. We’re going to be recording those two panels to put up later (we also have a How to Freelance for Onyx Path and a Game writing/Design Bootcamp, and might record one or both of those), either as individual or edited together versions depending on the quality. We’re going to be using our booth for several purposes. It’s #501 and right next to a bank of doors at the end near Paizo. The first is to demo all sorts of our games, particularly new ones like Fetch Quest and They Came From Beneath the Sea!, and you’ll be able to play with and talk to the creators, like Eddy Webb and Matthew Dawkins. As always, we also have a whole room where our demoing friends, The Wrecking Crew and The Dead Gamers Society, will be playing non-stop throughout the con. I mean, they might have some times they’re sleeping, but don’t worry about that. All of them, and especially one, are Legendary in their love of demoing our games! Our favorite Trio of Titanic Talent That’s Terrific and Terrifying will also be using the booth and environs to create special Gen Con Onyx Pathcast episodes that we’re expecting to go into further detail on topics from the panels and offer ad hoc interviews with many of our favorite creators, designers, writers, you name it. Folks at the booth can see Dixie, Eddy, and Matthew in action, and you can expect those episodes to go up on our PodBean site or your favorite podcast venue pretty quickly. We want timeliness for these special episodes! Before we get to those episodes, we’ll have an episode this Friday about Conventions (well, that’s timely) and last week the Trio discussed in great detail the connections between video games and tabletop RPGs. They all come to the topic from different directions and experiences and that makes for fascinating listening. Inevitably, the booth will be a place for business discussions and meetings too, and because of that not all of us may be available to talk all the time. I’ve got a full raft of meetings with individuals coming to pitch me new game or licensing ideas, which doesn’t even count our existing friends and partners and their ideas, or Magic fans that want me to sign some cards. So, please be sure that while we really want to talk with everybody who stops in, we might be pulled away for that pesky business stuff. Please come by again if you miss us the first time! There’s also the fact that we’re right next to the White Wolf booth and while you may not have heard this news, they are premiering the physical copies of the 5th Edition of Vampire: The Masquerade at the con. So, it may be a crazy madhouse as folks stand in line to get their copies. We really have no idea what will happen with that, but are hoping for the best and prepared to wave and hand out our brochures to the folks waiting! Since at least one of the announcements we’re making has to do with those guys over there across the aisle, please bear with us if any of us suddenly pop over there and have one of those heads together, speak out of the side of the mouths, discussions. 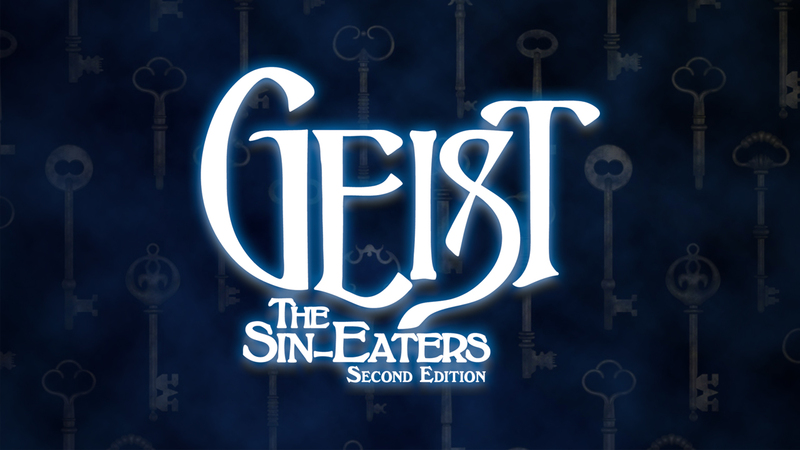 Geist: The Sin-Eaters 2nd Edition includes all the rules you need to play as one of the Bound: Five Burdens reflecting the cause that pulled you back from the grave, five krewe Archetypes for building your own mystery religion, and the Haunts, Keys, and Ceremonies that provide the Bound with their macabre powers. It also includes the Chronicle of the Dead, featuring the Sin-Eaters’ struggle against the all-consuming Underworld and a variety of terrifying threats. In addition, for the first time in the Chronicles of Darkness line, ghosts are presented as playable characters. The Quick and the Dead: the five Burdens (the reason a Sin-Eater comes back from the dead and what draws a particular geist to them) and krewe Archetypes (the common cause that draws a krewe of Sin-Eaters together). The Road Back: On death and coming back, and why Bound make the Bargain, including possible consequences. 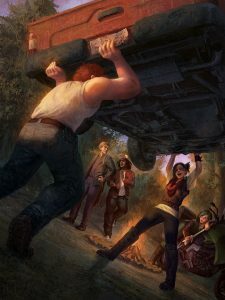 One Foot in the Grave: Character creation, with sections on both geist and krewe creation, Anchors, Merits, Synergy, Plasm, Abilities, Haunts, Keys, Ceremonies, and Mementos. Old Laws: the core Chronicles of Darkness rules, with special rules for playing Sin-Eaters, as well as information on subsystems for krewes, ghosts, and the Underworld, including Avernian Gates. Antagonists: villains for your Geist chronicle, including Reapers, Eaters of the Dead, necromancers, enemy Bound, and Kerberoi. 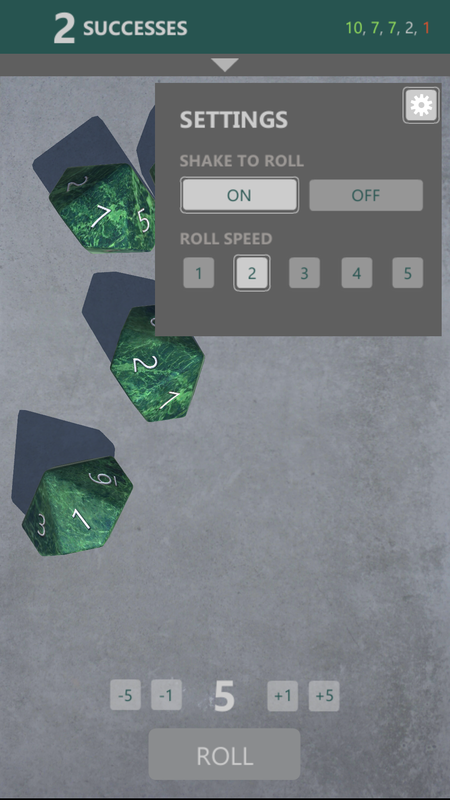 The Quiet Places: Setting information and story hooks for playing your Geist chronicle in specific times and places in history., from 16th-century Brazil to modern-day Edinburgh, Scotland to Mobile, Alabama in 1910, as well as information on Dominions. Ghost Stories: Storyteller advice and information for running a Geist chronicle, including designing Remembrances, how to set theme and mood, story seeds, and various ways to play out the end of a game. Appendix: The Absent: This Appendix details the Absent, playable ghosts, including Memories, new Merits, and a collection of possible ghost characters to expand on and use in your chronicle. Appendix: Conditions and Tilts: Geist-specific Conditions and Tilts, including ephemeral Influence Conditions and Manifestation Conditions for ghosts, as well as Haunt Conditions and Tilts. 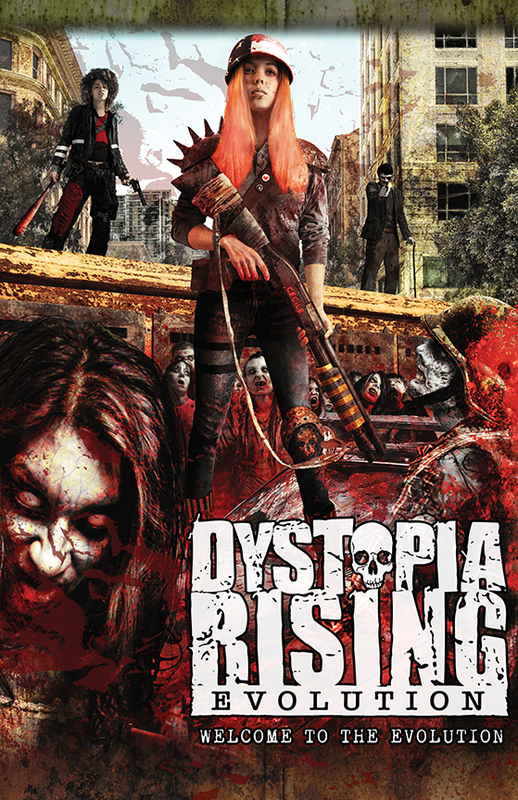 NEXT KICKSTARTER: Dystopia Rising: Evolution! We’re working with Studio2 to get Pugmire out into stores, as well as to individuals through their online store. 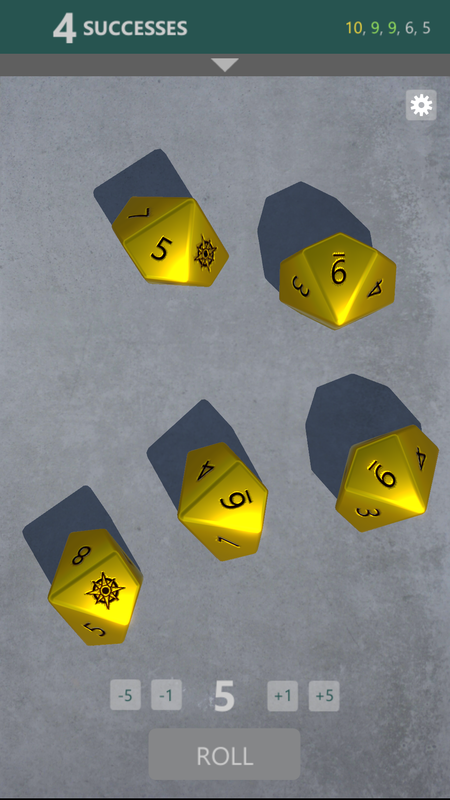 You can pick up the traditionally printed main book, the Screen, and the official Pugmire dice through our friends there! SPECIAL W20 and M20 SALE! Huge savings on our Deluxe printing overruns until 8/31! 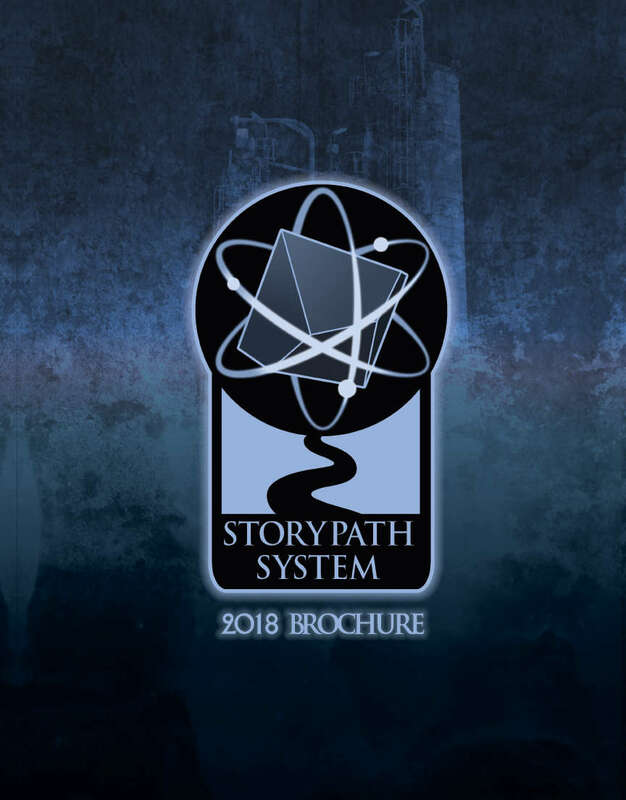 This Wednesday, we will release the PDFs for our two new brochures: the yearly Onyx Path Brochure and this year’s Storypath Brochure! This is the week of Gen Con 2018, so look for us at booth #501! See above for more thoughts and news about the con! If you are going and want to meet up, let us know! Ex3 Monthly Stuff – gonna try out a new artist on some of the NPCs. Geist 2e – Waiting for KS to end before getting rest of art. VtR – Guide to the Night – Sketches coming in. Dystopia Rising: Evolution – KS art contracted. Fetch Quest – contracting additional art post Gen Con. Scarred Lands Trilogy Novels – Converting to PDF and PoD. 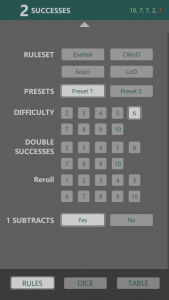 Promethean Night Horrors: The Tormented – KT doing layout. Scion Dice – At fulfillment shipper. Monarchies of Mau – At printer. Monarchies of Mau Screen – Printing. Cavaliers of Mars Screen – Printing. Wraith 20th – PDF/PoD on sale to public after GenCon, Deluxe files getting ready for printer. Scion Origin – Backer PDF out, gathering errata. Cavaliers of Mars – Printing. 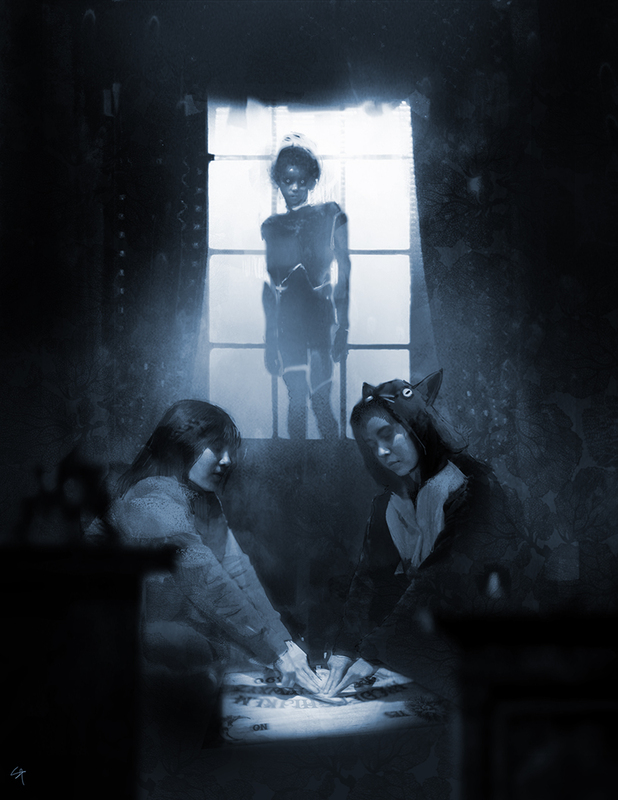 Changeling: The Lost 2e – Errata gathering. TODAY’S REASON TO CELEBRATE: It’s finally here: Gen Con 2018! I’ve been trying to go to GenCon for six years and am finally able to make it up. Absolutely gigged about it. One of my friends is even going to the Freelance bit. Fantastic! C’mon by the booth and say hi – thanks! Well that sale finally gave me the excuse to pick up one of those Ultra Deluxe copies of mage. Super glad to hear that! It’s one of my favorites – I just love how the lenticular card came out as representing the three prior editions. Will you guys be running games? I’d love to play Beast or Demon with someone that really groks the feel. I tried to find stuff a while back on the site, but couldn’t find any of the ChroD games I searched for. Come by the booth and we’ll see what we can get you into. Thanks! Really excited to see what you folks have planned for the coming year (but whatever it is, I’m sure it’s going to be awesome!). We’re chomping at the bit to finally start talking about them! Oh my! Such teasing! Can’t wait to hear all the news! I noticed that the Project Status section made no mention of the M20 Digital Web 3.0 or Rich Bastards Guide to Magick. Is that due to those books still being in the early pre-first draft stage, or have those books been canceled? That aside, I hope GenCon is a blast for you guys, and I can’t wait for M20 Gods and Monsters. The way the Project Status list works is that we don’t put anything on it until writers are actually working on the projects. We have pitches and outlines for dozens of books that are being reviewed, but until contracts for writing are signed and the team is writing, we don’t jump the gun by putting them in the Status list. A lot can happen in those earlier stages. Specifically to your question, neither of those M20 books have been cancelled. Hope that helps! Can’t wait to get my hands on the final PDF for Hero, having finished reading Origin last night. Can’t wait to run this for my friends. I’m hoping that means that you enjoyed Origin! 🙂 I’ll be talking to Neall at Gen con, and we’ll be going over Hero and where he’s at with DemiGod and how we can start hitting a few of the projects I really want to do for Scion that are somewhat sideways off the main core path of Origin-Hero-Demigod-God. Very much enjoyed it! 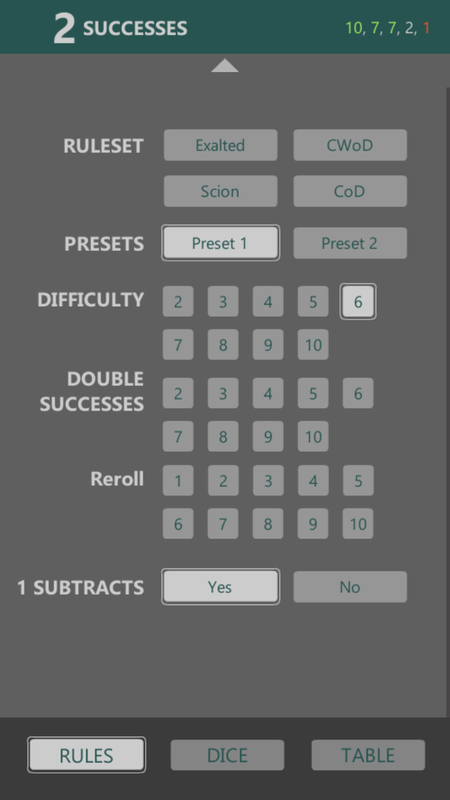 I was planning to wait until Hero was down to the final PDF, but decided I can’t wait that long, so I’m starting the backer PDF preview. Wide is good. The thicker the base, the taller the pillar! In your expanding social presence as a company, have you considered grabbing a Twitch channel and doing a live play for all the lines? Both as a demo of the systems and as a show of the spirit of the game? Thank you. We certainly have thought about a Twitch channel and live-play. It’s really a question of available time and what our gang can do besides their part of the cat-herding and project creation – but we have and will continue to support other folks running our games on Twitch in the meantime as we work things out. I’m actually excited for Gencon to be over just so I can get Wr20. Also I swore at one time you guys were going to do a Bunyip tribe book for W20. Is that still a thing? Indefinitely postponed. Tribe books require more effort and expense than you’d think for their size, and we need to be able to justify that considering the very likely W5 coming down the pike. So that’s the story. It makes sense. It saddens me because White Howler was AMAZING, but it makes sense. On a brighter note, heck, we got a freaking WHITE HOWLER book! How awesome is that? 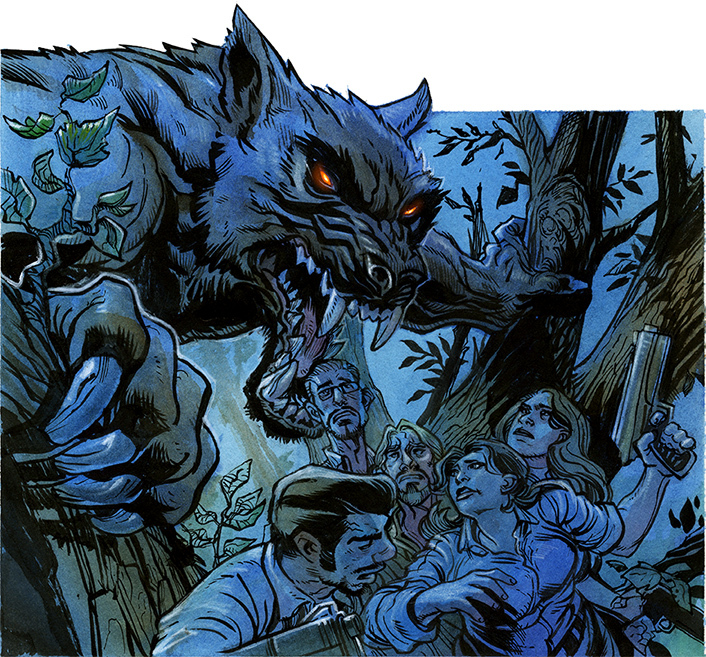 I mean, I never expected I’d be getting more Werewolf when WW shut down the old WOD, but I did. And under your care, they were all top quality books. I can never say thank you enough for that. It may have been asked already (Not sure..) but at what point would you say backers are sent the backer pdf for Dragonblooded? My instincts tell me just after layout, but i thought i’d get a more enlightened opinion as it were. After WW approvals, after proofing, after layout. Although to be fair, layout and proofing go back and forth until proofing is done. 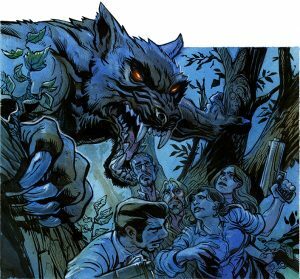 So you guys have a Werewolf, Mage and Vampire translation guide from Old WOD to New Wod/COD. Any chance we’ll ever see a Changeling translation guide? Truly hoping the answer is yes. Could I ask you guys to reveal the Glares of Deviants in Gencon? Deviant- Who, What, When, Where, how, WHY, WHYNOT! What sort of theme music is appropriate? What is the breadth of scope of characters and with such wide range of characters how does theme tie them all together? Abberrant- With Comicbooks now so much more part of the mainstream consciousness than they were when it originally came out, does this affect the nature of the book and its themes? Chicago- Is the Hybrid still running loose on the streets of Chicago? LEGENDLORE- Who is working on it? does having so many irons in the fire leave you sweating? should we send prenatal supplements?